Mouth cancer is also known as oral cancer and is a general term for cancer of the mouth, including the lip, gums, throat and tongue with the lining of the mouth being the most common site for the cancer. Around 200 people are diagnosed in Northern Ireland each year. It is more common in men than women and is rare in people under the age of 40. However, mouth cancer is changing. The gap between men and women is narrowing and it is increasing in younger patients. If mouth cancer is spotted early the chances of a complete cure are good. When cancerous lesions are small, treatment is generally less complicated and more effective. A cure is less likely if the cancer has spread. These symptoms are often caused by something less serious and don’t usually mean it’s cancer. However, finding cancer early makes it more treatable and a trip to your dentist or doctor could save your life. So if in doubt get checked out. If it’s not serious, your mind will be put at rest. You certainly won’t be wasting anyone’s time. 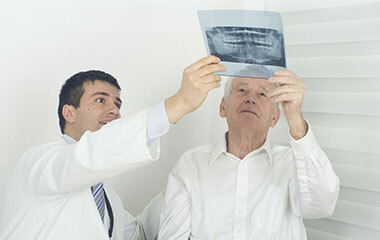 Have yearly examinations by a dentist, even if you no longer have your own teeth. Dentists are trained to spot early signs of mouth and salivary gland cancer and can easily see parts of your mouth that you cannot see. Are you at risk from mouth cancer? Take a note of your answers then check below. Do you visit the dentist? Do you use sunscreen regularly on your lips? Do you eat five portions of fruit and vegetables daily? Treatment options vary and depend on how early the cancer is diagnosed or detected. Removal of the tumour, followed by radiotherapy may be suitable for small tumours, chemotherapy is required in more advanced cases. 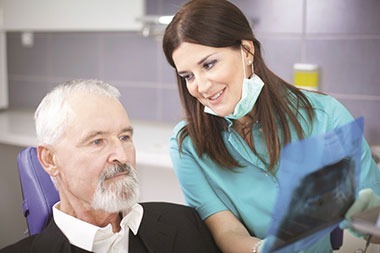 Download our information leaflet on mouth cancer here. If you are unsure of what to do next you can talk with one of our nurses on our free and confidential support Nurseline on 0800 783 3339 (Monday-Friday, 9am – 1pm). You can also email us on nurseline@cancerfocusni.org.